It may seem far away right now but Spring 2015 will be here in less than 6 months! If you’re planning a trip to Walt Disney World next spring, we’ve got some info to help you out with all the changes that will be taking place. Here’s what we can all look forward to as the flowers begin to bloom next year! Disney’s Boardwalk will welcome Trattoria al Forno! Opening late 2014 & replacing Kouzzina by Cat Cora, this new restaurant will feature authentic Italian cuisine. Guests can look forward to handcrafted mozzarella made fresh daily & wood-burning ovens baking Neopolitan-style pizza. The restaurant will also offer an extensive wine list &, of course, tiramisu among other delicious desserts. Walt Disney World Pro Soccer Classic! For the 6th consecutive season, the Classic returns to ESPN Wide World of Sports Complex. From Feb 1 to March 1, 2015 the nation’s top pro soccer teams will be on-site competing for the Disney Pro Soccer Classic title. The event’s goal is to raise interest in soccer in Central Florida & has featured 8 pro teams. Once the schedule is released, tickets will be available for purchase through Ticketmaster or the ESPN Wide World of Sports Complex box office. Disney Princess Half Marathon will be running back into Walt Disney World Soon! Disney Princess Half Marathon! February 19-22, 2015 will welcome runners of all ages & ability for the Disney Princess Half Marathon weekend which will be presented by Children’s Miracle Network. The Disney Glass Slipper Challenge combines the Disney Enchanted 10K on Saturday with the Princess Half Marathon on Sunday for a total of 19.3 miles! 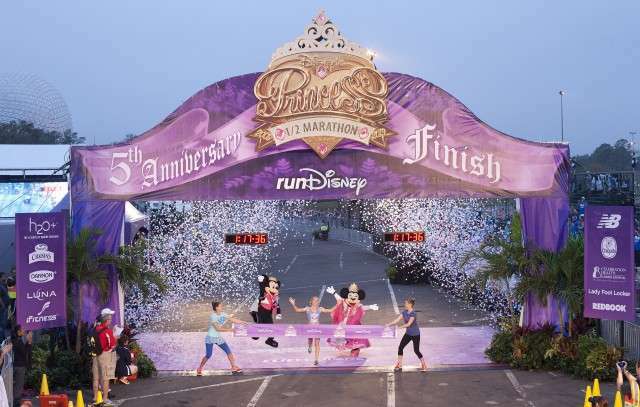 There’s a special incentive for completing the Princess Half Marathon along with the Tinker Bell Half Marathon in May in Disneyland Resort. These runners will receive a special pink version of the runDisney Coast to Coast Race Challenge Medal. Another special medal can be earned by completing one of the races during the Princess Half Marathon weekend along with the Castaway Cay 5K in the Bahamas the following week – a specially designed Disney Castaway Cay Challenge Finisher Medal. Another Starbucks location will open! Scheduled for opening in February 2015, this Starbucks will be located in Disney’s Hollywood Studios & be themed as a classic trolley car. Located at Hollywood & Sunset Boulevards, this Starbucks location will also carry Disney baked goods & Starbucks’ La Boulange pastry items. The Landings at Disney Springs will open in 2015! Downtown Disney is transforming to Disney Springs &, as painful as it is now, we will all be rewarded soon as The Landings opens. This will be a waterfront area for nationally known restaurants. The entire transformation is scheduled to be completed in 2016 at which time there will be 4 distinct neighborhoods: The Landings, The West Side which will have elevated spaces for shade & overlooks, Marketplace which will have an over-the-water pedestrian walkway & an expanded World of Disney store, & Town Center which will house even more shopping & dining. Read all about it here! We love the topiaries at the Flower and Garden Festival at EPCOT! 22nd Annual Epcot International Flower & Garden Festival! 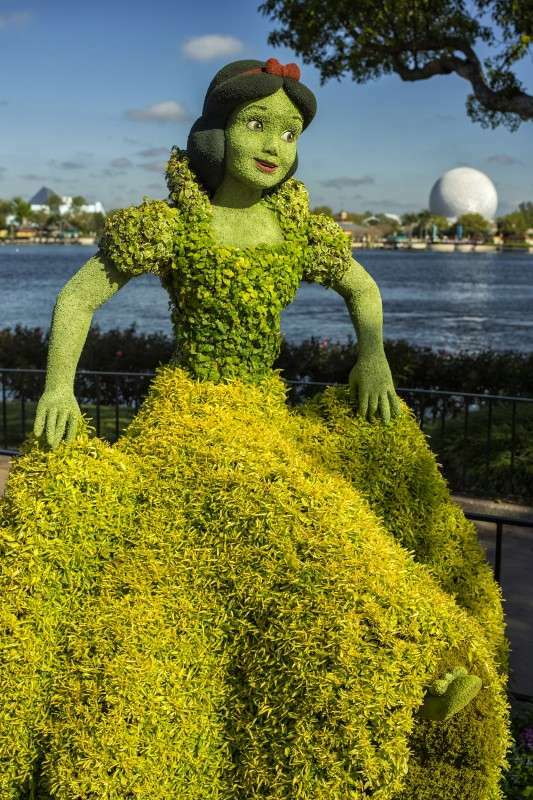 Beginning March 4 & continuing until May 17, 2015, Epcot park will transform into a magnificent display of flowers & topiaries. Also offering home & gardening seminars, outdoor kitchens, children’s play areas, a butterfly house, workshops with stars from HGTV, & more, this festival is certainly one that you need to see to believe. Epcot is so very beautiful during this festival & I always look forward to the mini-gardens afloat in the Future World lakes! Atlanta Braves spring training! 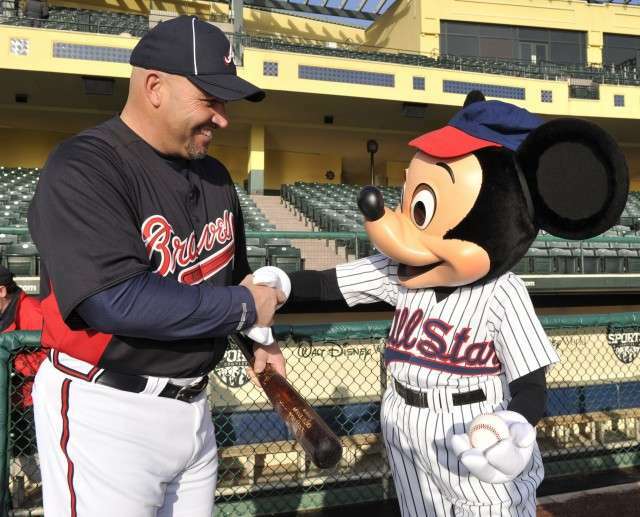 For the past 17 years the Atlanta Braves have called EPSN Wide World of Sports Complex home during their spring training. Championship Stadium will see a number of Braves games against other clubs from February to March. Guests will experience unique game-day entertainment, character appearances, exclusive on-field spectator experience, & more! Information, group tickets & mini-packs are available by calling (407) 939-GAME (4263) or by clicking here. After the training schedule is released, game tickets for individual games will be available through Ticketmaster & the sports complex box office. Hope this helps you plan you trip! What are you looking forward to seeing or experiencing the most? Leave us a comment & let us know! Next Post Universal Orlando Resort is offering a great deal for Military Members and their families.